Wisdom is a coveted but slippery commodity, something to which we aspire but seldom feel we have achieved. Is the getting of wisdom genetic, The Force, or Destiny? Do you need to be christened Solo? 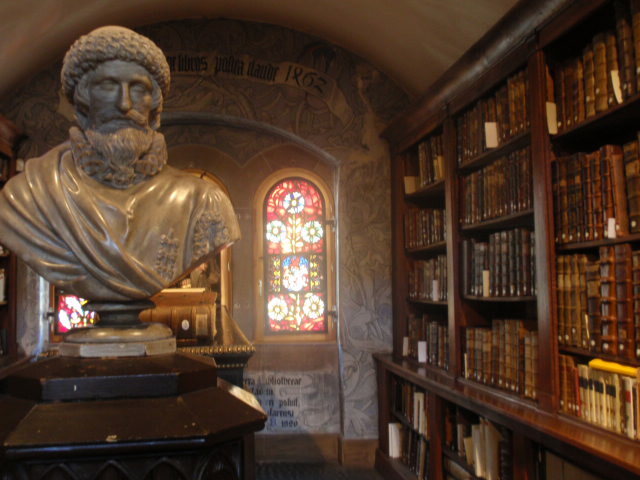 Or does it seep in from wide reading, learning, and debate, as suggested in this alcove in the Humanist Library in Sélestat, established by Beatus Rhenanus a friend of Erasmus? (His librarians seem not to have read Proverbs 4 in which wisdom is feminine). Erasmus, at least in his Praise of Folly, was quite dismissive of wisdom in terms of learning for knowledge superiority (vanity?). There is indeed a whole discussion on Jesus’ tendency to invert social hierarchical values. The preparation for this announcement is a strong statement in the psalm of belief in divine goodness and protection, based on the evidence of majesty and splendour all around – the creation, its bounty and the rightness of the commandments (vv. 3-6). The psalmist then moves on to some more demanding precepts: justice and equity. These concepts come around time and time again in the psalms. They certainly catch this author’s attention and act as a reminder of just how far we have yet to go. A drop of Mozart (Confitebor tibi) would go down well but I think it’s the orchestra’s day off. Back in the ‘red book’, in TiS 68 we find another Jane Marshall refrain that would suffice, together with one of those four-line tones we described, and the men sang, last week. We welcome again our visiting friend and ministry partner Jean, whose leadership we value. Anyone who is anyone in the world of being wise has a quotable quote. If wisdom is hard to capture and adopt, then why would it be otherwise? By three methods we may learn wisdom: first, by reflection, which is noblest; second, by imitation, which is easiest; and third, by experience, which is the most bitter. The psalm says reflect (and by implication accept), act. Close; but it depends on what you reflect on and imitate. The variation might be resolved if the seeker of wisdom tries the Confucian approach after having taken the first step recommended in the psalms, accepting the divine rather than human order of things. Maybe that’s how Reinhold Niebuhr settled on his “accept/change+wisdom to know the difference” serenity prayer. 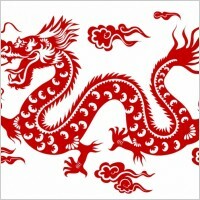 Coincidentally, you will see the dragon image again on Sunday – Jean will make the reasons clear. << Exit stage left before this gets too much like self-help.